If newly proposed county regulations for needle exchange are passed as currently written, Renee Cox has a prediction: "We'll be seeing a lot of George Bushes in Oakland, picking up needles." 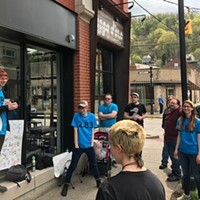 Cox is the executive director of Prevention Point Pittsburgh, which since 2002 has let drug users exchange dirty hypodermic needles for clean ones ... no questions asked. But under a preliminary draft of regulations, which will be the subject of a June 13 public hearing, needle exchangers will be required to provide names and other information. Many will simply lie, Cox says; hence the likely increase in drug addiction among global leaders. 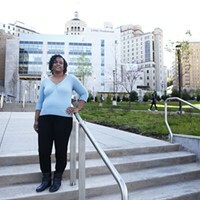 But some addicts, she fears, will stop coming entirely to the needle exchange operating in the county Health Department's Oakland facility (3333 Forbes Ave.) for just three hours each week ... undermining the program's effectiveness. Needle exchange is a form of "harm reduction," which critics contend encourages drug use, but which has been shown to reduce transmission of blood-borne disease among addicts sharing infected needles. Until this year, the program operated as a pilot project under the county's Health Department, with little in the way of bureaucratic oversight. But after Allegheny County Councilor Vince Gastgeb (R-Bethel Park) raised questions about the program's legality and effectiveness in March, the health department began drafting regulations to govern the practice. The regulations were posted June 1. As written, they require each needle recipient to provide a name, address and phone number. They would also have to provide their age, gender, race, ZIP code ... and whether they have any diseases. Asking about disease, Cox says, could "constitute a grave violation of privacy." Moreover, "Anonymity is absolutely fundamental in needle exchange. A lot of people are already afraid of being exposed. They're afraid of our parking lot being videotaped for their license plate numbers. To require a name, address and phone number will create a huge barrier." The draft proposal would also prohibit "secondary exchangers" ... needle recipients who bring needles to other addicts who are unwilling, or unable, to make Prevention Point's office hours: The agency is open noon to 3 p.m. on Sundays. "Secondary exchange results in much greater impact, especially for a tiny program like ours," Cox says. Nearly two-thirds of Prevention Point's needles are handed out by the addicts themselves. "We just want these guidelines to be modeled on public health, not political compromise." Allegheny County Health Department spokesman Guillermo Cole contends Gastgeb's objections to the program played little role in drafting the regulations. "I don't think [political pressure] weighs too heavily in developing a draft regulation." But once the Board of Health approves a measure, he notes, it is submitted to county council and the county executive for approval. "There is always that awareness on the part of the board." Cole says that tracking needle recipients can help "in terms of monitoring care, and making some assessment as to how effective a program is. But we always guarantee the confidentiality of the information we are given." That may be cold comfort to wary addicts, but Cole points out, "The purpose of the public-comment period is to get feedback. It isn't etched in stone." Health Department public hearing on needle-exchange regulations: Tue., June 13, 1 p.m., 301 39th Street, first floor. 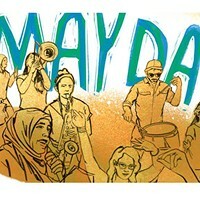 Prior to June 30, comments may also be e-mailed to BOH@achd.net, or mailed to 3333 Forbes Ave., Pittsburgh, PA 15213.